Bengaline is a fantastic fabric for making all type of garments particularly skirts, dresses, trousers and jackets. Our bengaline fabric is made from polyester and lycra and stretches down the length of the fabric (rather than stretch across the width like most stretch fabrics do). It is a good medium weight and doesnt require lining but you could always add one if a lovely finish. Machine or hand washable. Only whilst limited stocks last at this clearance price! This is an excellent quality fabric. It is perfect for a slender/slim style pants, it is perfect weight. It works well for all seasons, except maybe real hot days. I made 2 pairs of pants. It has perfect amount of stretch for slim pants and needs hardly any ironing. I HOPE they get more stock in all colors!!! Ordered the brown to make a skirt, at this price wasn't going to be too disappointed if it wasn't up to scratch. However this is great quality fabric, nice soft handle that has a good drape without being limp and looks much more expensive than it is. So impressed i am going to order other colours. I bought these fabrics to " have a go" at making myself trousers for the first time, thinking it was cheap enough to spoil. They have turned out out so well that I am happy to wear them out! Comfortable, with the stretch and wash so easily with no shrinkage. Good quality fabric for such a reasonable price. One direction stretch and a good weight. 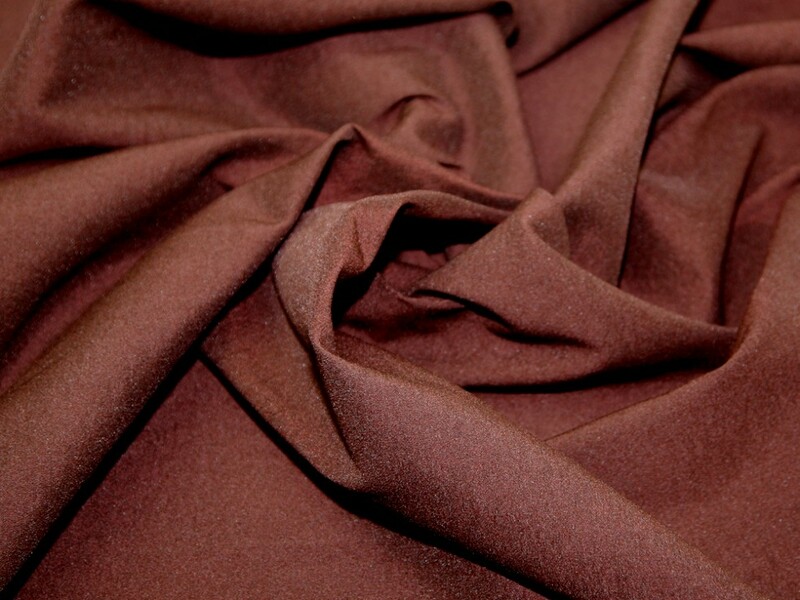 I have three metres of brown to make some trousers and I can't wait to get started !. I have ordered this fabric in magenta and it's absolutely beautiful! It's very stretchy and I made it into a circle skirt - it's not see-through at all, it has a good weight to it so it holds the circle shape really well. I will definitely order it again in different colours, what a bargain!